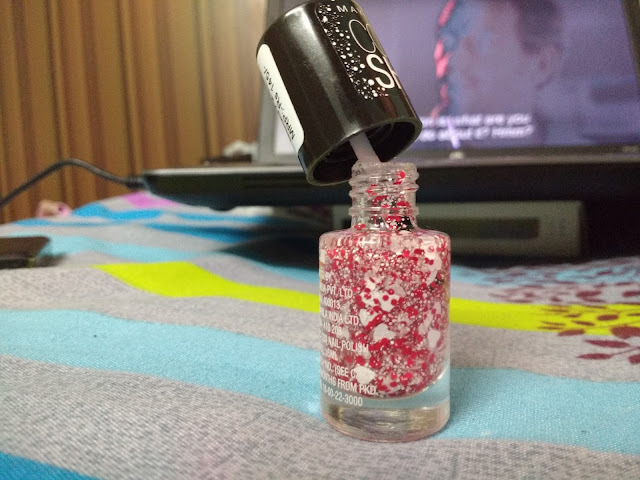 Being a nail polish freak, it is my birth right to be obsessed about the new trends in the polish world. My favorite one is polishes with glitters and other elements filled in it. OPI has an amazing collection of such polishes. Holographic glitter particles, hearts, flowers, hexes, dots and other elements are quite a big thing with me. 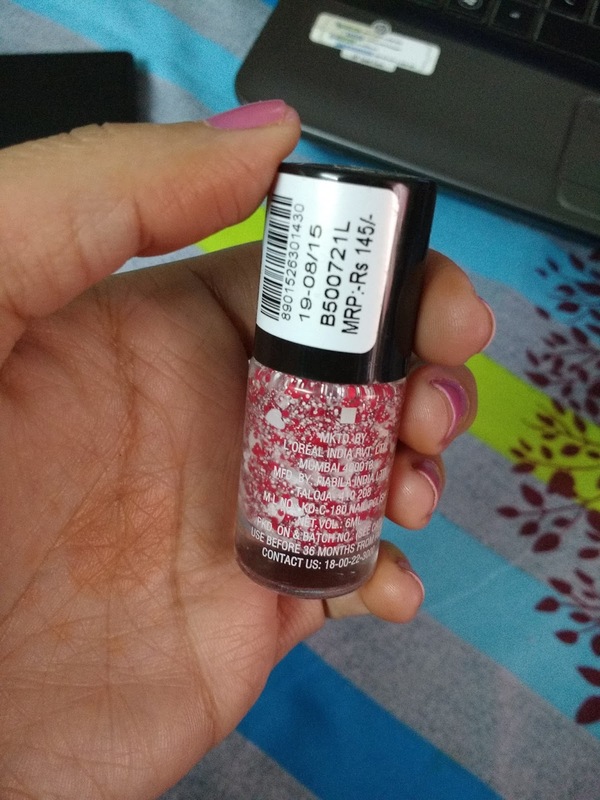 These polishes are great for people who love nail art but are unable to do them so simply apply the polish on your nails and you are sorted! 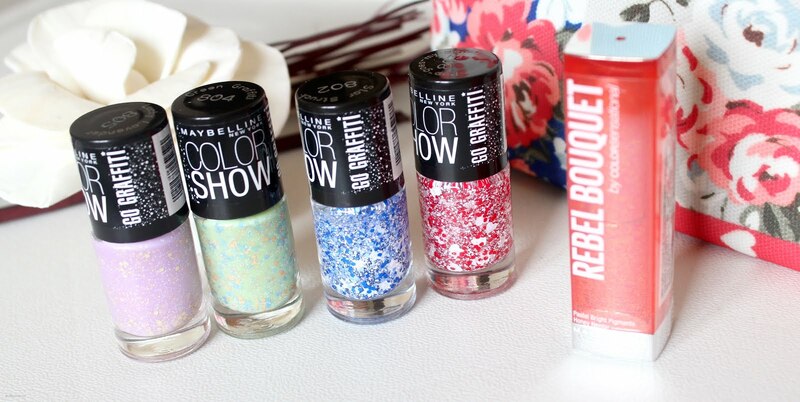 Keeping this in view Maybelline launched a collection last year - Rebel Bouquet by Maybelline India. 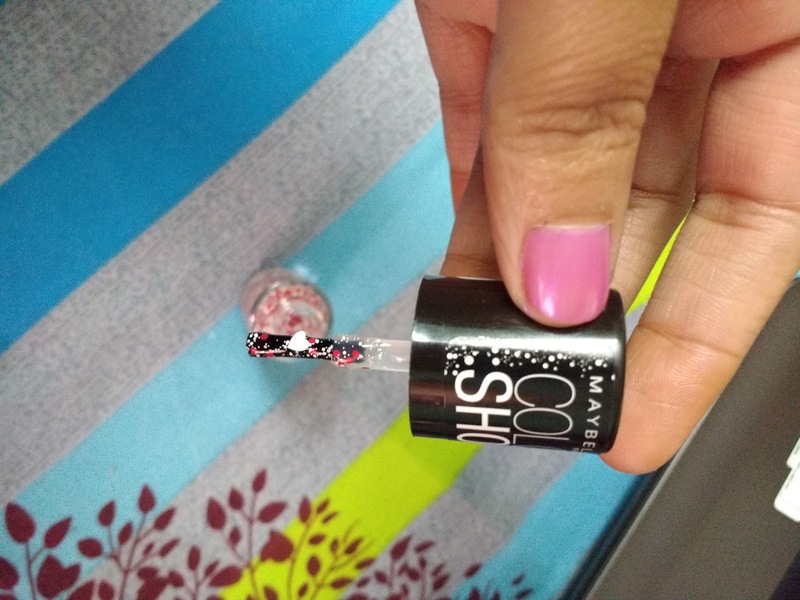 Along with lipsticks, this collections also marked the launch of 9 Color Show Go Graffiti Nail Paints! The collection includes 6 versatile top coats and 3 jelly types nail paints. I haven't purchased entire collection yet but looking forward to it! 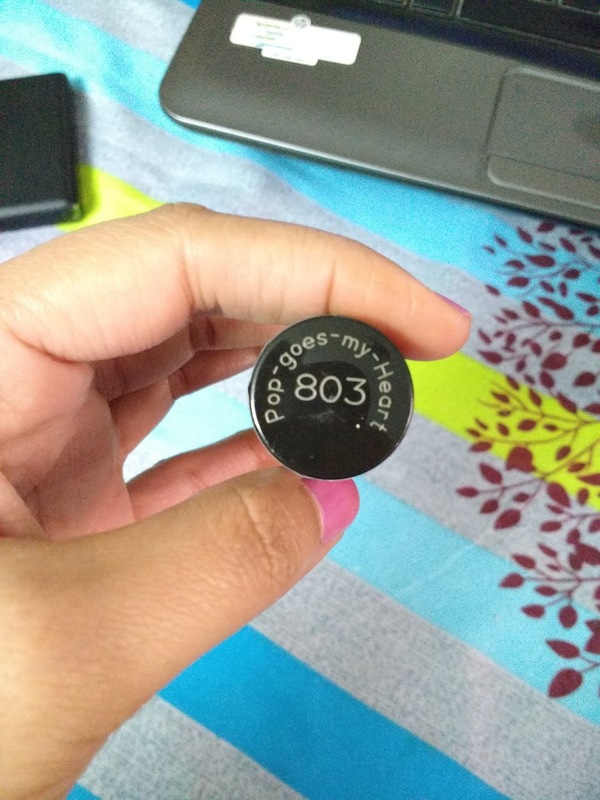 Check out my review on Maybelline Color show Go Graffiti Pop goes My Heart 803. Pop Goes My Heart 803 Micro and small white hexes and red medium hexes with big white heart in a clear base. They should have used a red colored heart. It would have made this polish versatile. Applicator is very nice. It gives a smooth application on the nail. 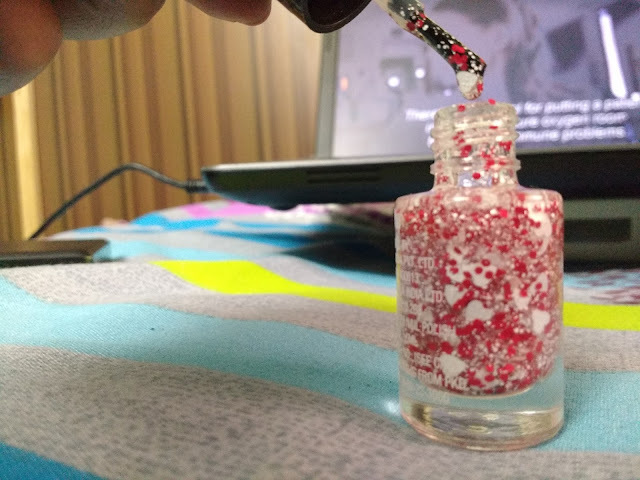 You can easily pick up a good number of hearts and dots particle on the brush. Has gel like dense formula, that makes it easy to apply. 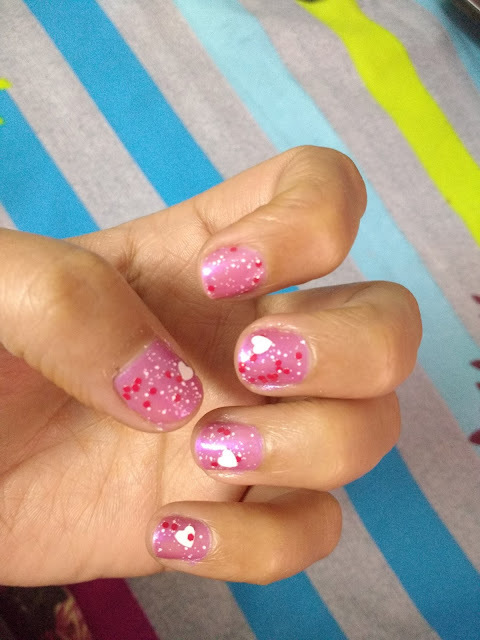 A mix of white hearts along with red & white dots are quite unique. You need to use tweezers to fish them out properly to fix them. Gets stuck in hair or clothes after some time. I will be buying more from the collection. 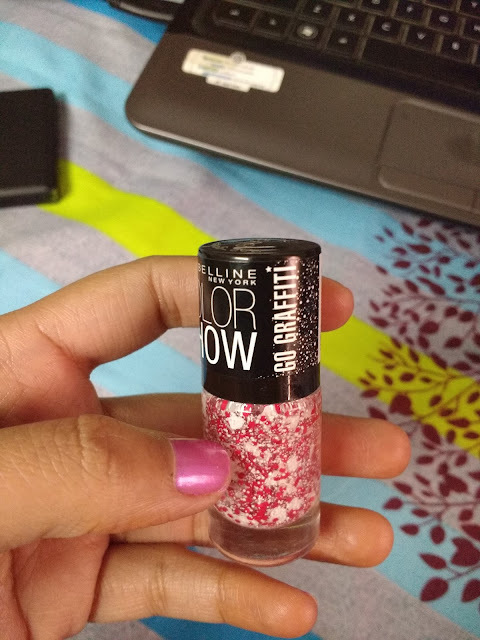 If you have tried Maybelline Color Show Go Graffiti, share your views with me.